New Clothes for Christmas = Happy Laurie! This is my outfit that I wore on Christmas Day! The long sleeved blouse is by Vaudeville & Burlesque. dIt has an Ikat pattern all over the blouse excluding the wrist, collar and button. I really love the colour and the pattern! 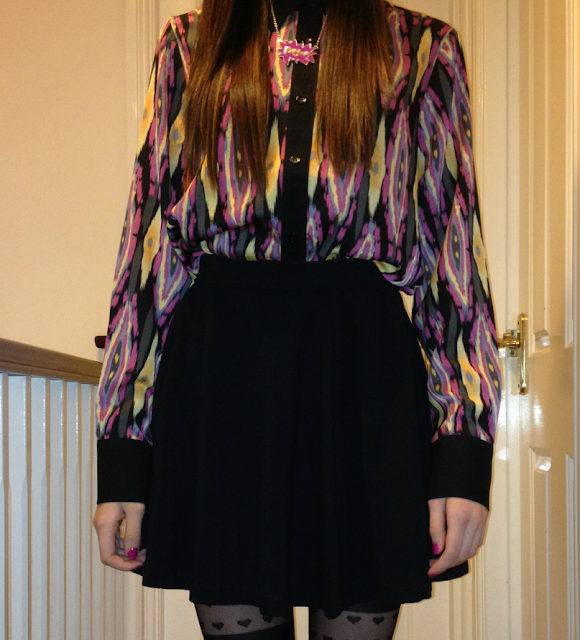 I tucked the blouse in a Black Skater Skirt bought from Topshop. 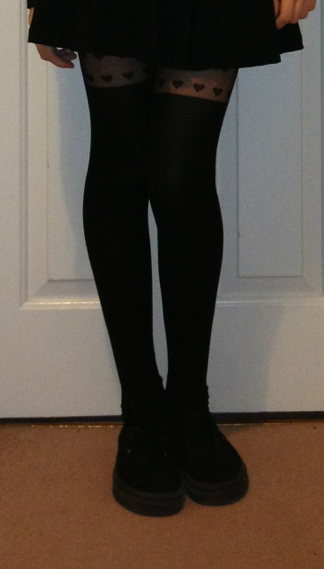 I styled the outfit with plain black leggings with the heart pattern in the middle of the thigh, and plain black vans. I also used Rimmel Long Lasting Urban Purple Nail Polish as it matched with my blouse and give it more colour. Lastly, this necklace from River Island. Matched perfectly and is also really cute. It stands out well, I love it!